I’ve long had a task sitting in OmniFocus: update Library page. This neglected section of my site is far too stale, so one aspect of this newsletter I’m looking forward to is summing up my thoughts on some of the books I’ve read over the past several years. Today, the focus is on type. 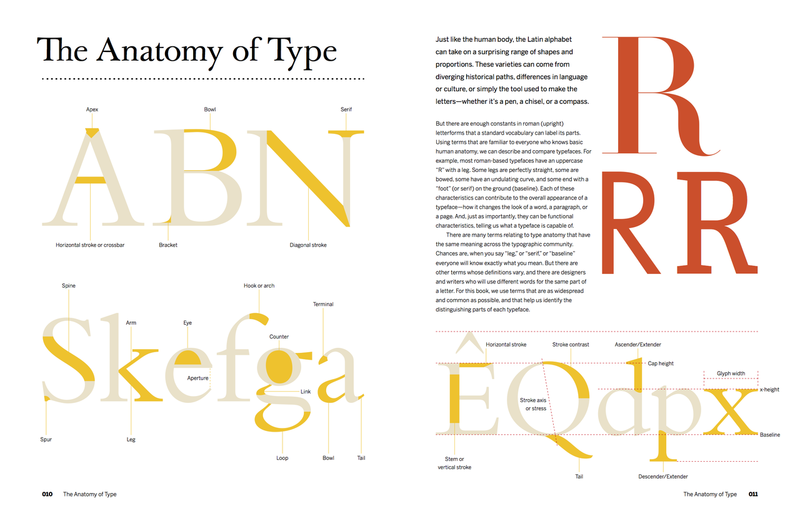 Over the past 2–3 years, I had the chance to pick up Robert Bringhurst’s Elements of Typographic Style. Even if you're not a type fan, it’s a wonderful piece of writing. And even if you're not into writing, you can come away from this book appreciating a master’s ardour for his craft. Bringhurst, a Canadian I should note, wrote the book styled after the famous work of Strunk & White. It’s less of a read and more reference material, but you can still pick it up and go from beginning to end for your first time through. The end result is a good introduction to the craft of typography, plus more than enough advice to help any designer give words the attention and care their project deserves. It’s also fun! Knowledge, experience, judgment, and enthusiasm are not always accompanied by writing skill, and like many academic and quasi-academic fields, typography is not flush with talented prose stylists. But the fact that Bringhurst came to book design and typography from poetry is evident on every page. While I was in the middle of this book, I happened to attend TypeCamp in Vancouver and had the pleasure of seeing Stephen Cole give a talk. Afterwards, I picked up his own offering, The Anatomy of Type. More of a coffee table book, it’s also an introductory to type of a sort. Rather than explain with many words, the book takes an illustrated approach, including dozens of fonts from different families and educating the reader on the basics and some finer points of the craft. It’s definitely not a book to read, but it is a fantastic experience to flip through. And educational as well, a good conversation starter with those in your life who are less familiar with design, but perhaps open to learning more.